A group of intruders broke into North Korea's embassy in Madrid and subsequently contacted the United States Federal Bureau of Investigation to offer to share information they had obtained, according to a case in Spain's High Court. 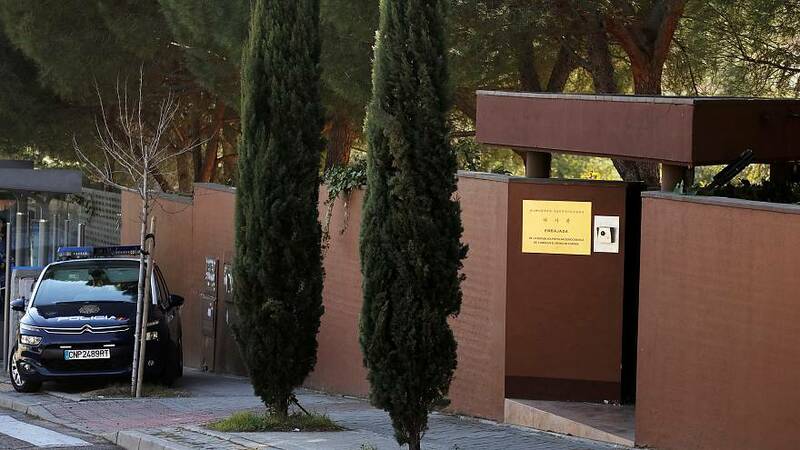 Spain's Interior Ministry had previously said police were investigating an incident at the embassy, but gave no details except to say that a North Korean citizen had been injured and that no one had filed a complaint. In an official document based on the investigation, the High Court said on Tuesday one of the group, a Mexican citizen resident in the United States, had contacted the FBI on Feb. 27 in order to pass on information regarding the incident at the embassy, including audiovisual recordings. The Mexican citizen said he had carried out the raid voluntarily and he did not identify his companions, the court document said. The group checked the embassy for arms before leaving the premises, at which point they separated into four groups and headed for Portugal. The Mexican flew from Lisbon to New York. There was no immediate comment on the matter from the U.S. State Department.